Check out these unsolicited customer reviews about Learn & Grow, my hands-on preschool curriculum! YOUR curriculum is special. It will always be remembered as a favorite part of our younger years. Plans are broken into weeks. Each week has a special theme. Really, really fun themes! Whales and apples and pets and healthy foods and nursery rhymes and quilts and springtime just to name a few. Every theme has incredible, simple activities to do with your children. The projects and activities are easy to put together, no difficult or hard-to-obtain supplies necessary. While there are a few pages in the back of the book to copy for the child to complete, most of the activities are hands-on. Activities that encourage your child to touch, smell, listen, think – experience new things! 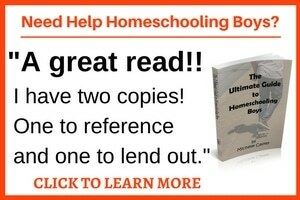 If you have noticed that this website is called ‘Homeschool Your Boys’ and you happen to have GIRLS, take note that this curriculum is absolutely written for both girls and boys alike! She just has extra resources on her site specific to boys. Take a peek at some sample pages from this book, which give you just a tiny glimpse into the treasure that this book is. I promise that if you held this book in your hands, you would be filled with excitement over all the great experiences you could have with your preschooler! This curriculum is good stuff! Malachi and I will be having a blast together as we work through this book. And I am thinking his bigger brothers will even want to join us. Learn and Grow is perfect for home schooling parents; but, even if you do not home school and just want a great go to resource of activities to help your child learn new things, you would find this book very useful! I just wanted to drop a note to say THANK YOU!!! We have been using your preschool curriculum for a month now, and my boys (4 and 21 months) are LOVING, LOVING “school”!! I was previously using Before Five In A Row, with groans and screams. My 4 year old BEGS me to do school! What a blessing!! We are also using the Teach Me About God, and my 4 year old adores that too! I am in love! This is perfect. I can alter it slightly for my oldest and also for my 19 month old and they are having so much fun doing these lessons together. I LOVE your emails/newsletters and Ryan (my 3 year old) and I are enjoying your preschool Learn and Grow curriculum this year. 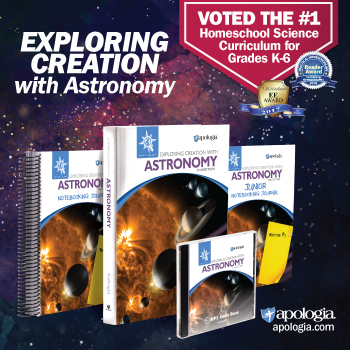 Thank you for sharing, encouraging, and supporting all of us – home schooling families. Thank you so much, Michelle! I am leaving my corporate job to be home with my two boys ages 2 1/2 and 3 months. I can’t wait!!! I saw the sample lesson plan and almost started crying. It is perfect! I have been a Family Childcare Provider for the last 6 years and I have excelled in every aspect of my business. However, the one thing that I have struggled with was finding a curriculum that I felt was building good learning skills for the children I taught. I flipped flopped back and forth with purchasing or designing my own curriculum and it was never a good fit. The purchased kits taught about things I wasn’t interested in, and it’s hard to teach something that you don?t like yourself. And honestly, I didn’t have a lot of time to build a curriculum myself and found myself much of the time unprepared. Until, I stumbled across Learn and Grow, BINGO I think I’ve got it! When I heard Michelle mentioned in her introduction about her search and not finding a curriculum that gave the “Meat and potatoes” for learning, I knew I was on to something. Currently school is out in GA so I will not start using the curriculum until August however, I have had the pleasure of looking over the lessons and I can hardly wait. I have been looking so long for a curriculum that taught lessons based on the alphabet and I know the kids are really going to enjoy the activities. This is truly a God send! Thank you Michelle for being so kind and generous in sharing the knowledge that God has given to you and helping others give the gift of learning. Thank you so much for your books “Learn and Grow” and “Teach me about God.” It’s been 2 1/2 weeks into our homeschooling adventure, and my son and I both enjoy our homeschool activities. You serve as an inspiration for me to continue homeschooling my son. Thank you for giving me a window into the world of homeschooling and how boys are so different from girls. I would’ve been really discouraged otherwise. I had put him into a local playgroup of 15 kids and the teacher would label him a “problem” for not being able to sit still. Armed with your homeschooling curriculum, I can provide him with fun activities tailored for his attention span and be able to enjoy his learning process every step of the way. May the Lord bless you and your family abundantly! Learn and Grow is Wonderful! I have homeschooled for 19 years. I’ve graduated our first 5 homeschooled children and have 3 boys ages 5, 3, and 1 to go. I never used a preschool curriculum (for long) because I couldn’t find one that was flexible enough, yet academic enough, and doable without tons of preparation along with teaching other grades. Oh, I’ve tried them all! But the first few lessons would be as long as it would last. Learn and Grow is so different! My 3 year old LOVES it! And my 5 year old doesn’t miss a lesson, even though he is doing his own first grade curriculum. He says, “Mom, I didn’t get to do that when I was three!” to every activity! The lessons are laid out so well. I love the way each activity has the “materials needed” listed, and they are seldom things I need to purchase that aren’t normal items in our homeschool closet already. Each activity is clearly labeled for its academic content. There is not much if any preparation. They are very fun and enjoyable to a three year old. They don’t take much time, are to the point, but very thorough. And there is so much variety! We go to bed with the suggested reading books that I am able to place on hold on-line through our local library. All I do is place the hold and pick them up! Learn and Grow is just the most exciting part of our school day. My boys always ask for more. I have never seen a curriculum so complete, yet easy to use, and enjoyable all at the same time! Even my husband adds to what we are learning in every-day activity! You have done a great job with Learn and Grow! I cannot say enough to give it justice. Every aspect with the way it is set up and the content is wonderful! Thank you for your time and work and for sharing it with us so we can have a successful and enjoyable homeschool preschool! My boys LOVE it!!! I wish I had Learn and Grow for my older children when they were three or four. I’ve enjoyed the Learn and Grow Curriculum. The variety of activities is great! My sons (there are two using the curriculum, a 3 year old and 2 1/2 year old) seem to like the alphabetical order of the lessons. I’m especially thrilled with the physical, coordination building activities and the science things: these seem to be activities that kids do not acquire simply reading a book and skills worth developing while they are so very young. Many of the craft projects have been enjoyed by our older boys also (5 + 6 year olds). Thanks again for the hard work! Your curriculum has been a real time saver and I have enjoyed using it with my preschool boys. Learn and Grow is a fantastic program. My little boy especially likes decorating the Big Letter Cutouts at the beginning of each week. My favorite part is that you have incorporated easy activities into the day to “just get all the sillies out”. I just wanted to let you know that I started teaching my daughter. We both love your activities. I am a Secondary School Teacher and very thankful for your incredible amount of great ideas for younger children. I do have trouble finding the suggested library books as I live in Austria, but I am substituting them with German and French books I have access to. Thank you again for providing such an inspiring curriculum. I just had to tell you how impressed I was with the book you wrote! What talent the Lord has given you! I hope it is extremely successful and I feel it will be! I just want to thank you for the wonderful collection of ideas in your Preschool Curriculum. Sarah (2) and I have arrived at the letter D and so far, she has liked almost every activity. It is such a good feeling to know that I have lots and lots of activities ready when I come home from work. Whenever I say the words: Sarah, ich habe ein Spiel fÃ¼r Dich vorbereitet (I have prepared a game for you), she runs to her little table and waits for me to do the activities with her. We even took a trip to a farm like you suggested (for letter C) and had a GREAT time there. It all ties in so nicely! Thank you again for all your trouble to send the files to me. Thanks so much for your fast response! I have been telling everyone I know about this book! I am so excited about purchasing one! Thanks for the simple methods!!! And thanks for blessing the public with such a neat resource for training toddlers! Hello. I received your book last week. It is so well written you are inspiring me to do something like that for what I specialize in! Monday is our first day of school and I’m so excited! Thank you soooo much – it’s a wonderful book. Please let me know if you ever make one for higher grades. As you can see, customers who have purchased Learn and Grow: Hands-On Lessons for Active Preschoolers have been very satisfied. So don’t delay. Order your copy of our hands-on preschool curriculum today!